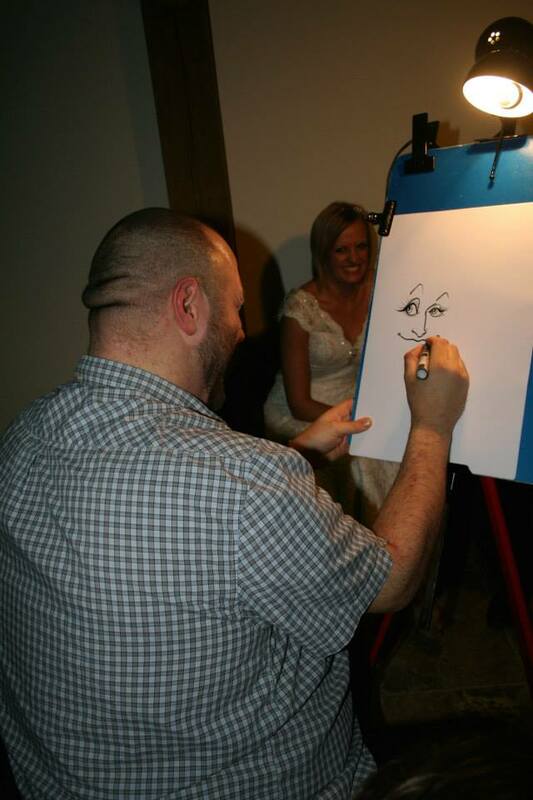 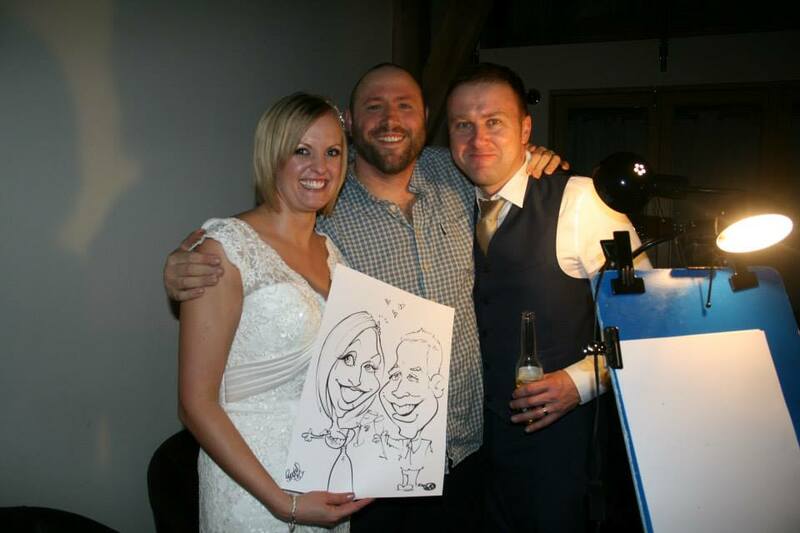 I had a great night drawing wedding caricatures last night over at Swancar Farm Country House for Colin and Sam’s big day! 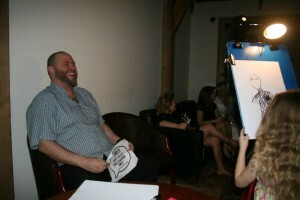 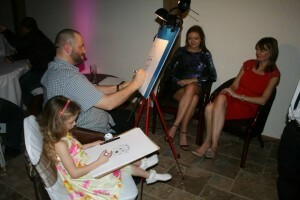 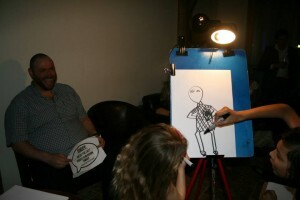 As soon as I was set up I was whizzing through the drawings – the guests were brilliant and really game for a laugh – it was great! One of the highlights for me though, was one ‘friend’I made for the night… Isla!! 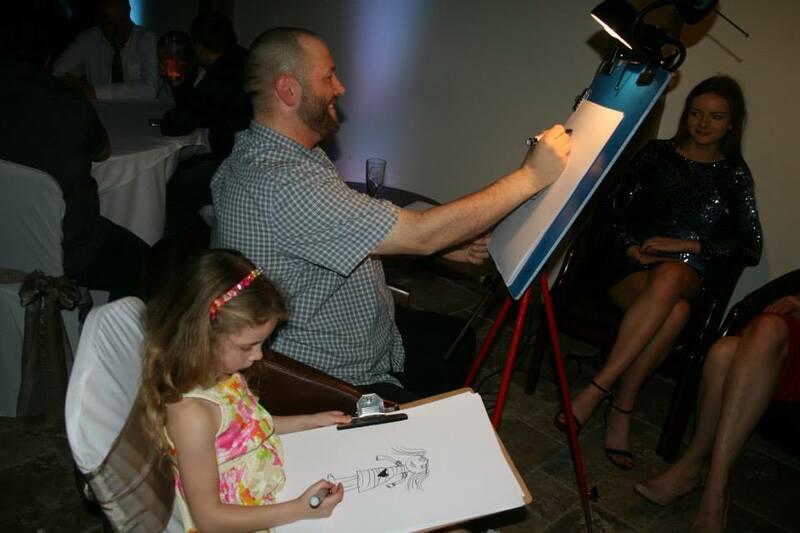 I drew her pic early on in the eve and before long she was ‘borrowing’ my spare pens and paper and going off to draw – she’d come back every few minutes to show me her pics. 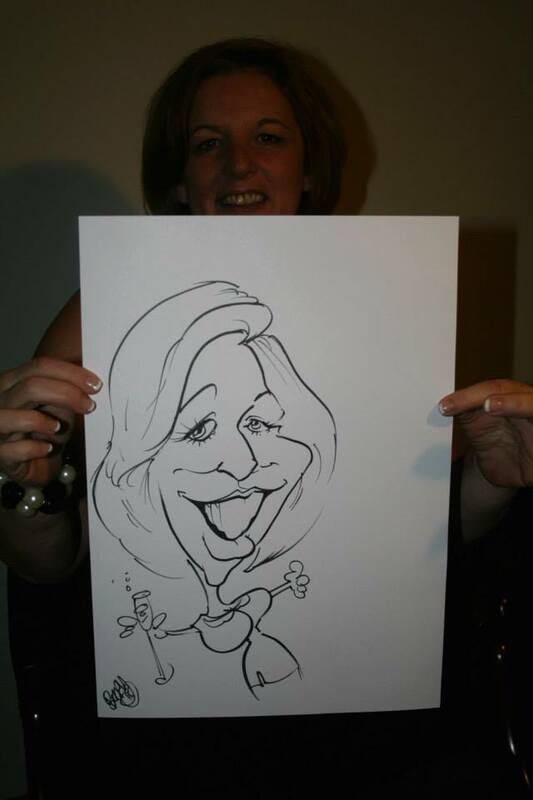 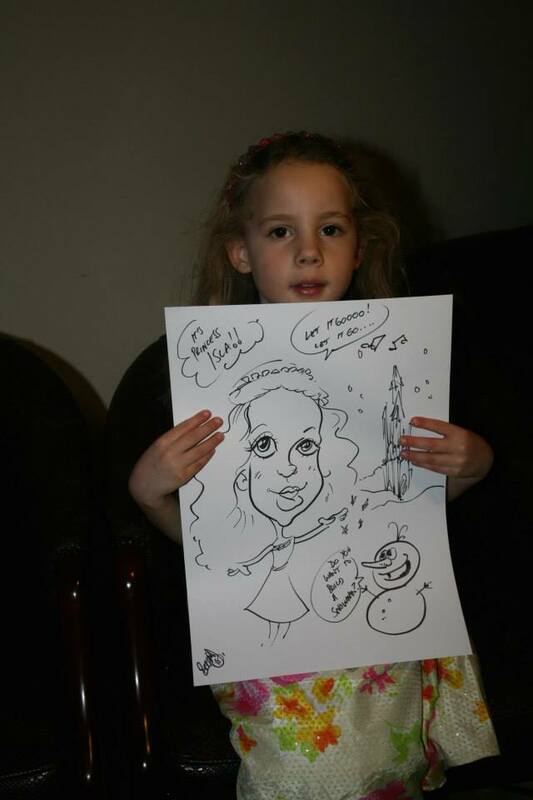 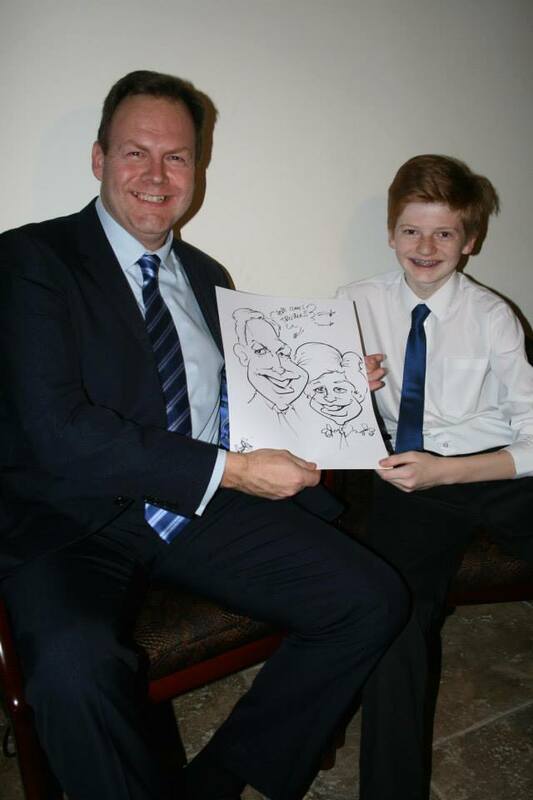 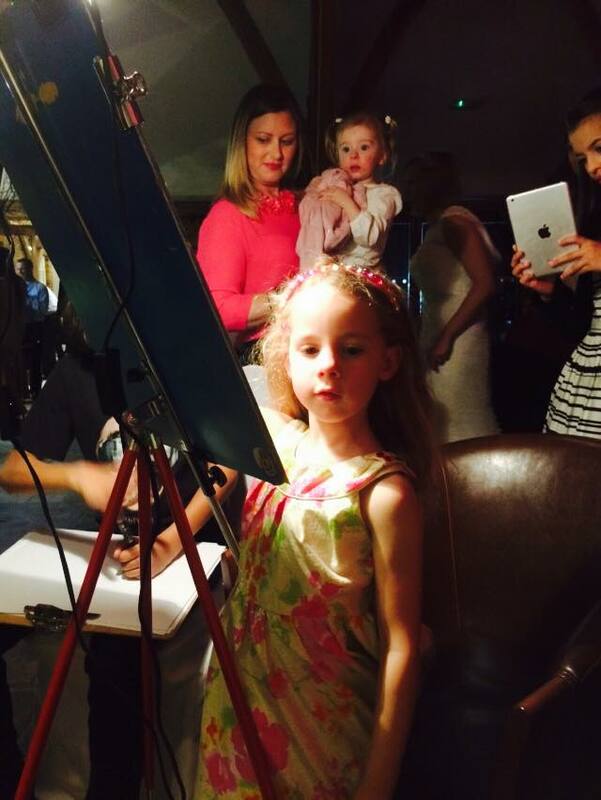 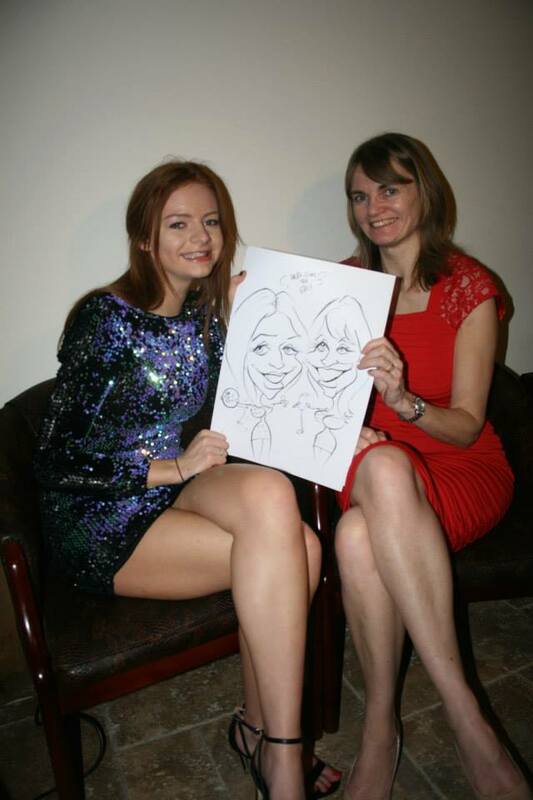 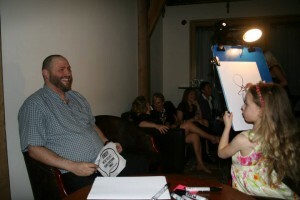 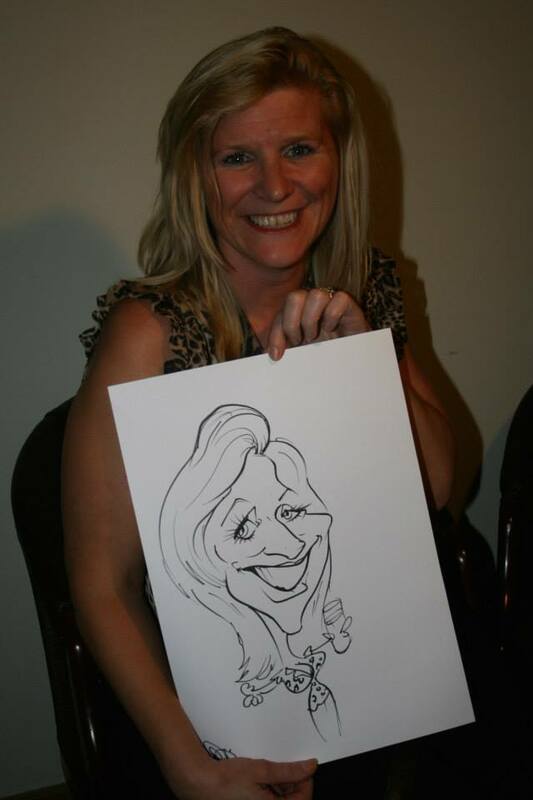 I even got my own caricature drawn and Isla signed it! 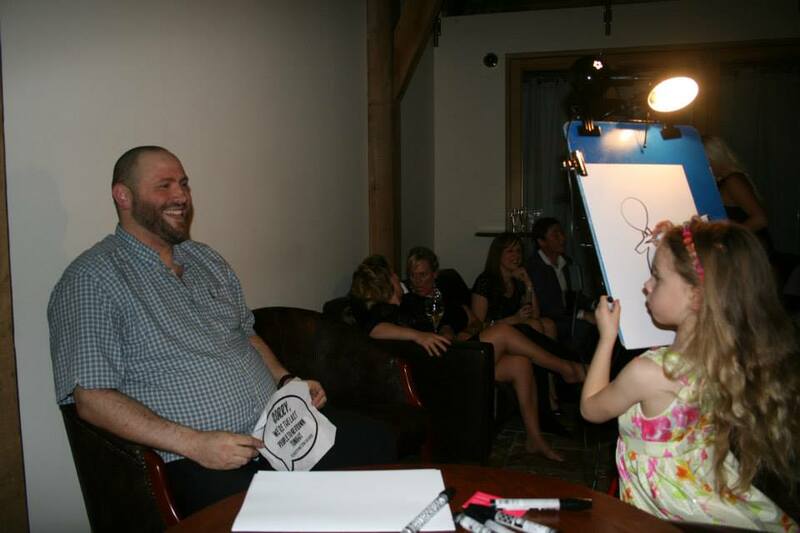 It is definitely going up in my studio and will be my Facebook profile pic for a bit. 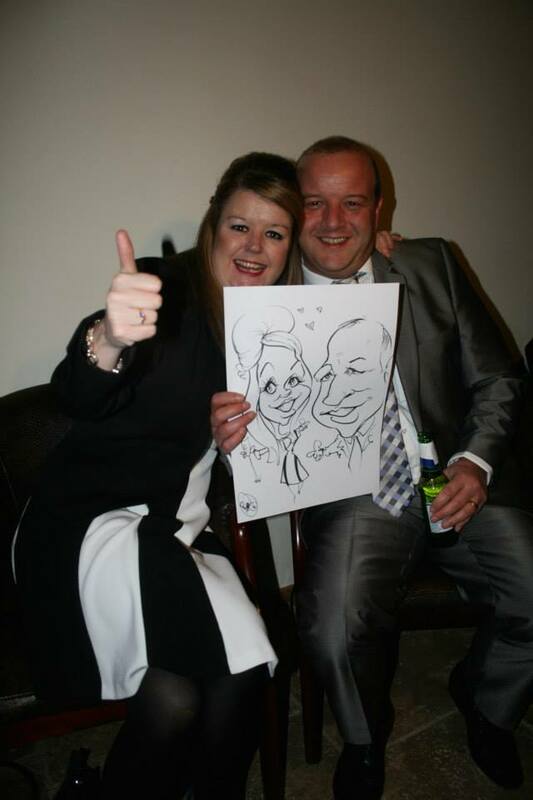 All in all, a cracking night for a cracking couple! 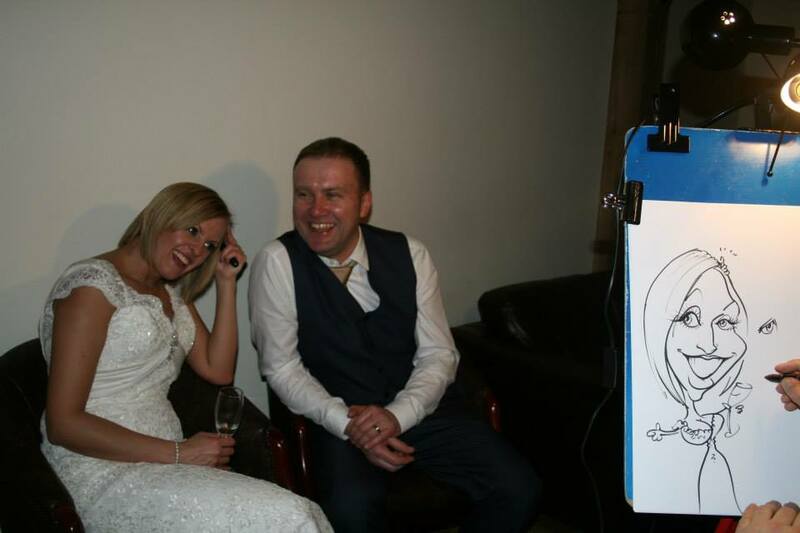 Congratulations Mr & Mrs Morris! 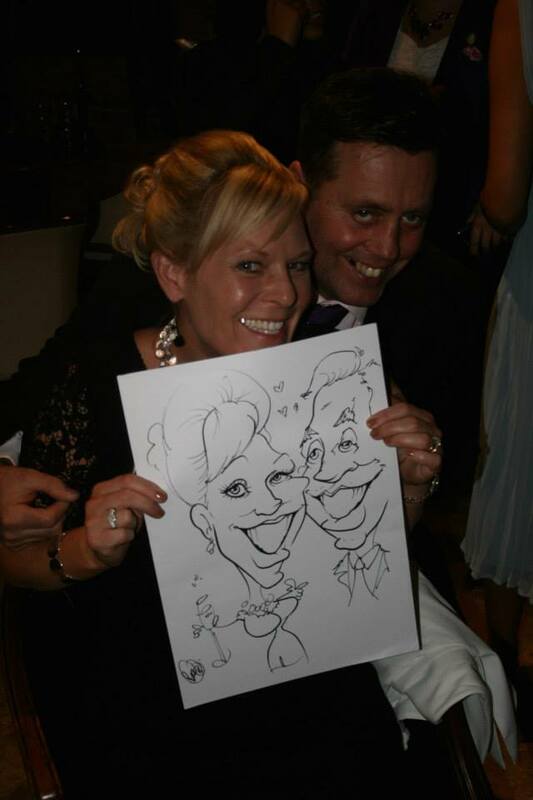 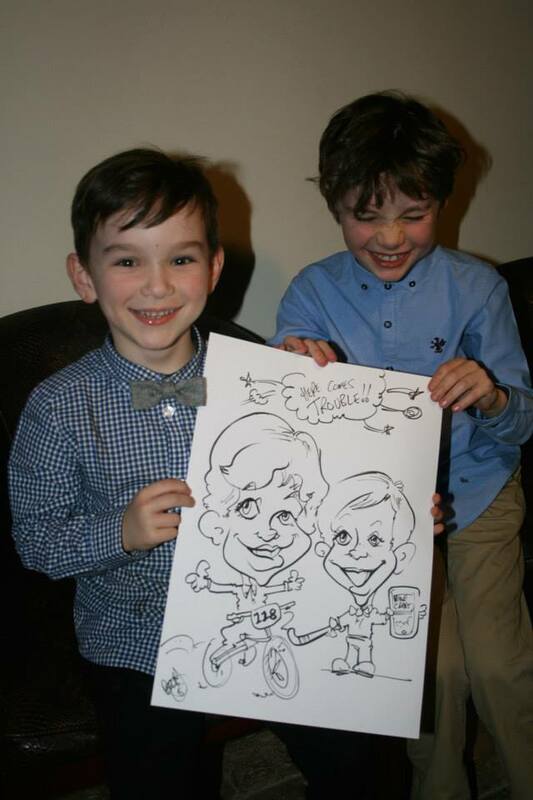 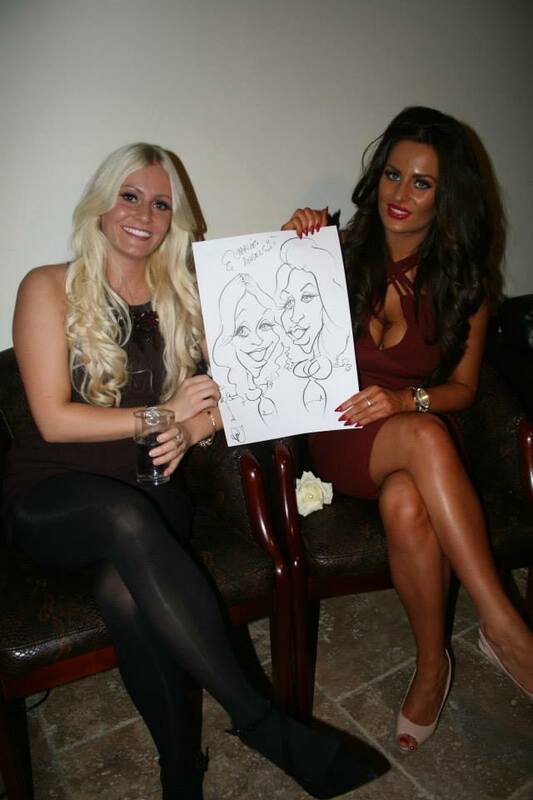 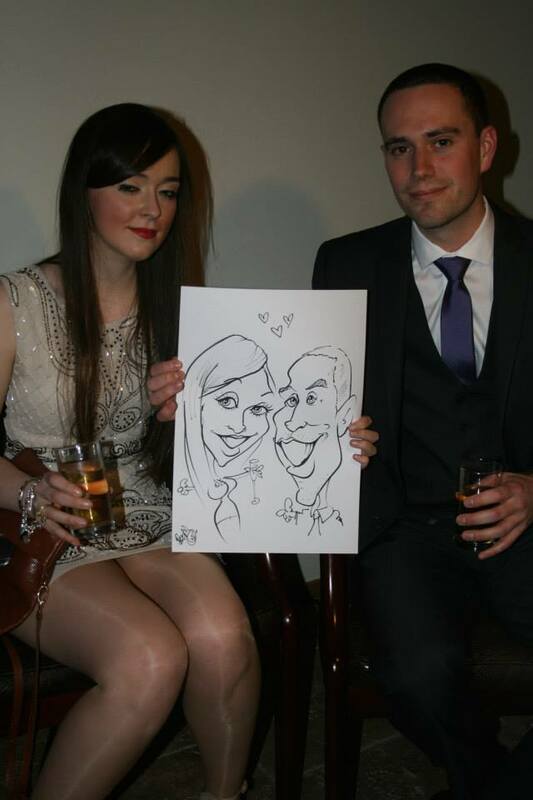 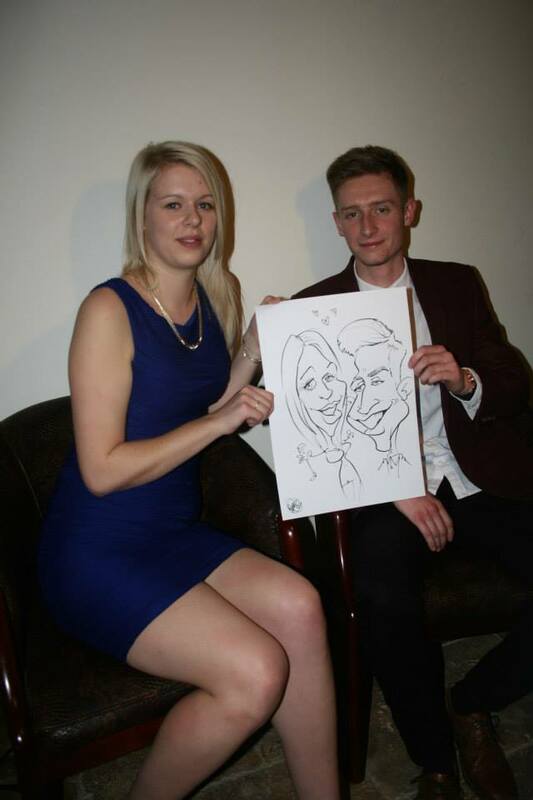 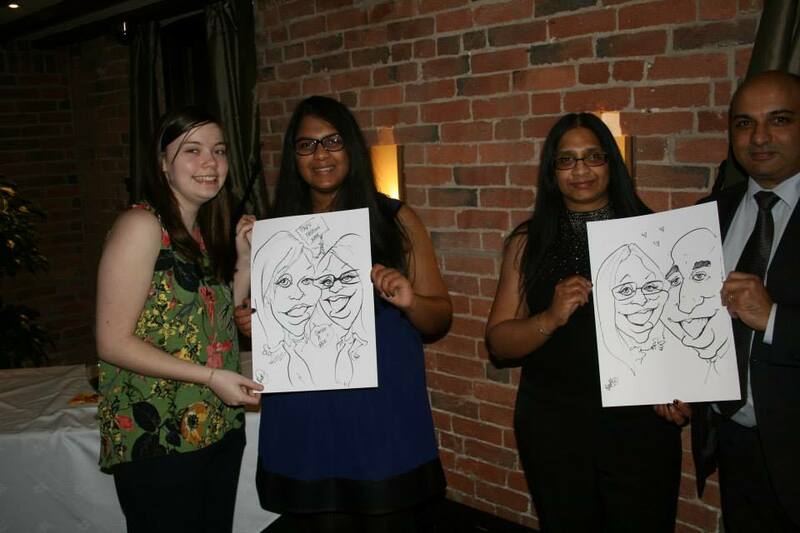 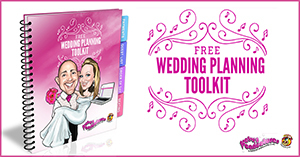 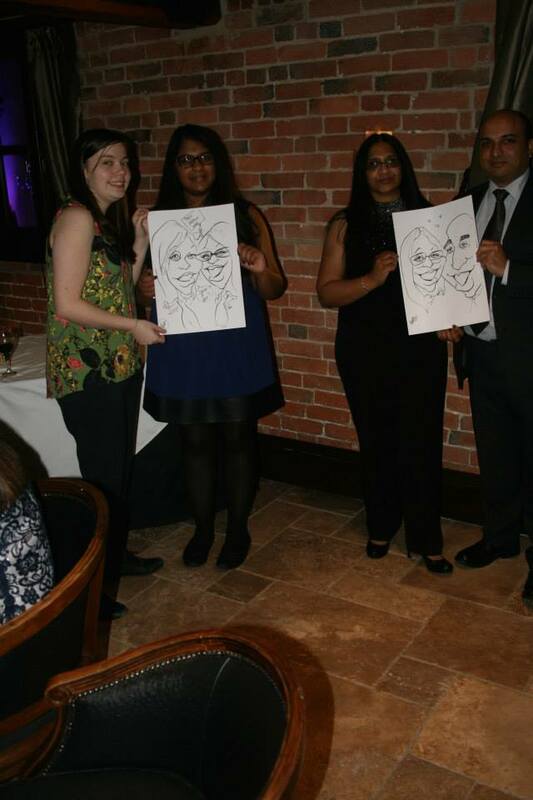 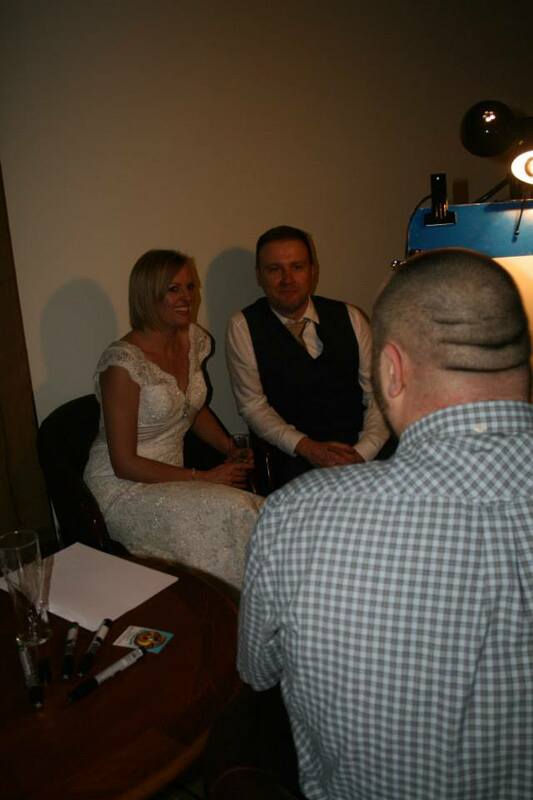 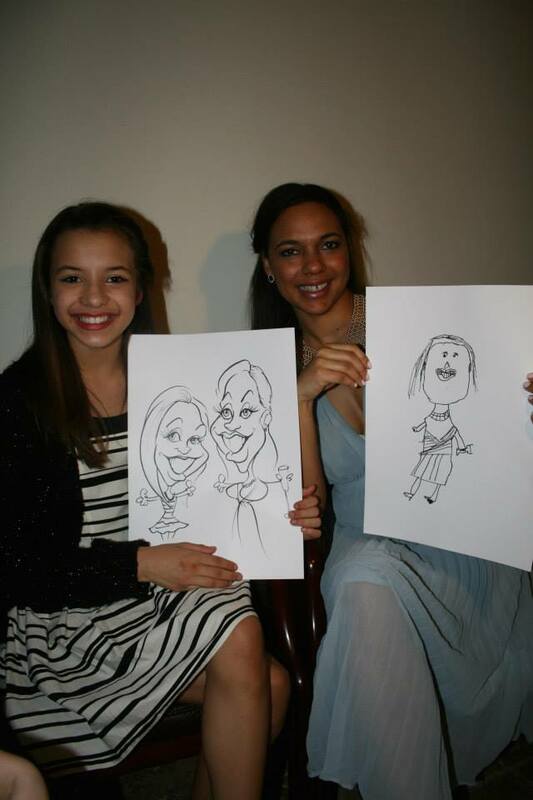 Next post: Another 5 Star Wedding Caricature Review!